Tyto Care may revise and update these Terms and Conditions at any time. Your continued usage of the Tyto Care website (“the Site”) will mean you accept those changes. If you think you may have a medical emergency, call your doctor or 911 immediately. 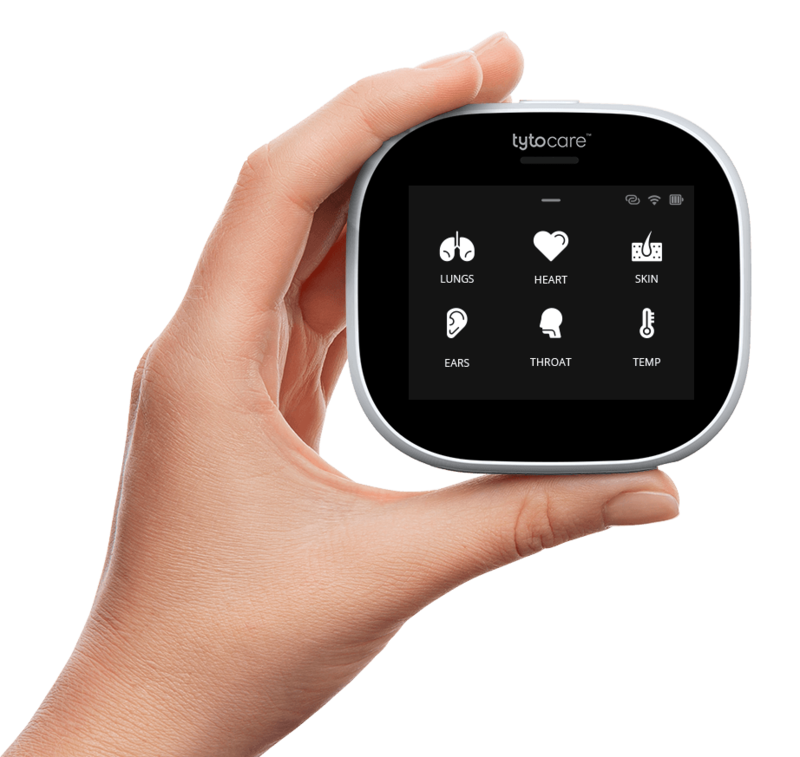 Reliance on any information provided by Tyto Care and its products is solely at your own risk. Tyto Care authorizes you to view the material on the Site solely for your personal, noncommercial use. Any special rules for the use of certain software and other items accessible on the Site may be included elsewhere within the Site and are incorporated into these Terms and Conditions by reference. The Content is protected by intellectual property rights, including but not limited to patent, trademark, trade secret and copyright under both United States and foreign laws. Title to the Content remains with Tyto Care or its licensors. Any use of the Content not expressly permitted by these Terms and Conditions is a breach of these Terms and Conditions and may violate patent. copyright, trademark, and other laws. Content and features are subject to change or termination without notice in the editorial discretion of Tyto Care. All rights not expressly granted herein are reserved to Tyto Care and its licensors. If you violate any of these Terms and Conditions, your permission to use the Content automatically terminates Liability of Tyto Care and Its Licensors The use of the Site and the Content is at your own risk. Accordingly, Tyto Care assumes no liability for or relating to the delay, failure, interruption, or corruption of any data or other information transmitted in connection with use of the Site. 1.1 The accuracy, reliability, completeness, or timeliness of the Content, software, text, graphics, links, or communications provided on or through the use of the Site or Tyto Care. 2.2 In no event shall Tyto Care, its licensors, its suppliers, or any third parties mentioned on the Site be liable for any damages (including, without limitation, incidental and consequential damages, personal injury/wrongful death, lost profits, or damages resulting from lost data or business interruption) resulting from the use of or inability to use the Site or the Content, whether based on warranty, contract, tort, or any other legal theory, and whether or not Tyto Care, its licensors, its suppliers, or any third parties mentioned on the Site are advised of the possibility of such damages. Tyto Care, its licensors, its suppliers, or any third parties mentioned on the Site are not liable for any personal injury, including death, caused by your use or misuse of the Site or Content use of the Site, Remedies under these Terms and Conditions are exclusive and are limited to those expressly provided for in these Terms and Conditions. You agree to defend, indemnify, and hold Tyto Care, its officers, directors, employees, agents, licensors, and suppliers, harmless from and against any claims, actions or demands, liabilities and settlements including without limitation, reasonable legal and accounting fees, resulting from, or alleged to result from, your violation of these Terms and Conditions. Tyto Care is based in Netanya, Israel. You expressly agree that exclusive jurisdiction for any dispute with Tyto Care, or in any way relating to your use of the Site, resides in the courts of the State of Israel and you further agree and expressly consent to the exercise of personal jurisdiction in the courts of the State of Israel in connection with any such dispute including any claim involving Tyto Care or its affiliates, subsidiaries, employees, contractors, officers, directors, and content providers. These Terms and Conditions are governed by the internal substantive laws of the State of Israel, without respect to its conflict of laws principles. If any provision of these Terms and Conditions is found to be invalid by any court having competent jurisdiction, the invalidity of such provision shall not affect the validity of the remaining provisions of these Terms and Conditions, which shall remain in full force and effect. No waiver of any of these Terms and Conditions shall be deemed a further or continuing waiver of such term or condition or any other term or condition. Except as expressly provided in a particular “legal notice” on the Site, these Terms and Conditions constitute the entire agreement between you and Tyto Care with respect to the use of the Site and Content.